I went to the PS I Still Love You launch at POWERHOUSE Arena last night. It was by far the most magical book release party I’ve ever been to. Also I finished the book in one sitting last night … you can expect a (rave) review on the blog by tomorrow morning! Beyonce was playing, there were pink champagne and sweet treats, girls were getting makeovers and book themed manicures. 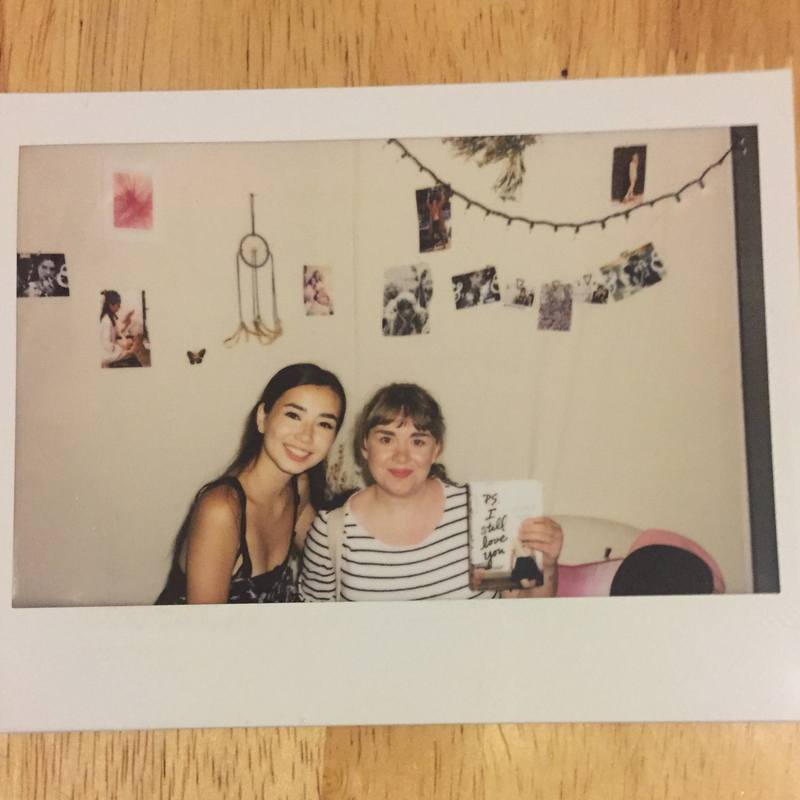 And I got a Polaroid with Laura Jean (aka Helen Chin the model from the book’s cover). 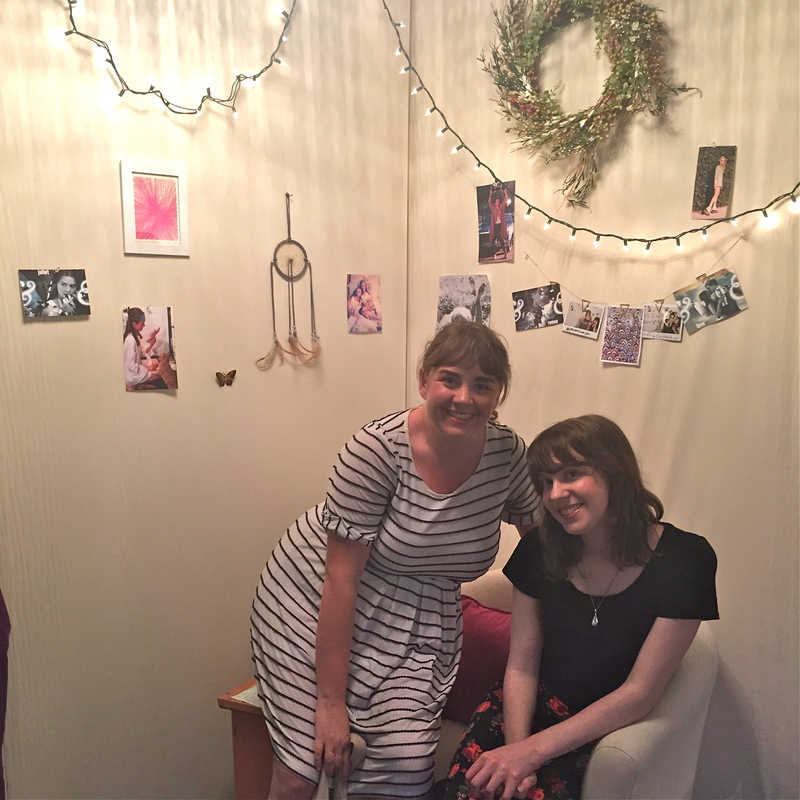 After getting our books signed, a friend from the New School and I grabbed one last pic in Laura Jean’s room. Here is a quote from Jenny Han’s speech last night that popped up on one of my favorite blogs Last Night’s Reading. It was so fun to hear about her writing process! 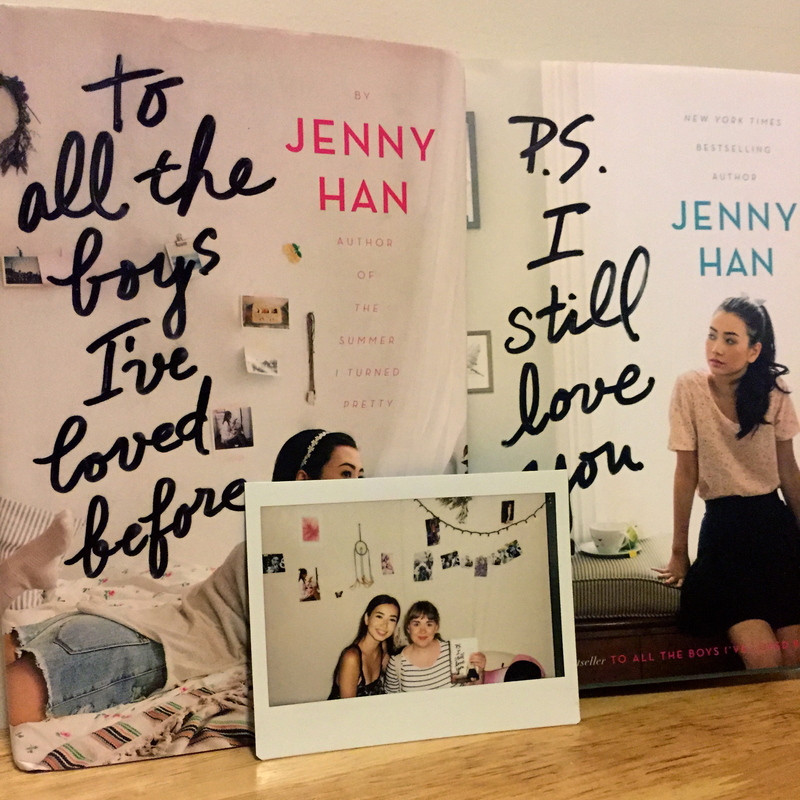 This entry was posted in Wordless Wednesdays and tagged books, Jenny Han, PS I Still Love You, to all the boys I've loved before, YA by Alison Doherty. Bookmark the permalink. That’s such a cool experience. How do you hear about these book releases near you? Are you going to any other ones in the future? I go to a fair number of them. Bookstores have events calendars that list what author readings are coming up or I’ll find about specific events from different authors’ twitters. This one was super fun!